By the end of the twentieth century, decaying inner cities in America continued to lose ground despite the best efforts of local and federal officials. By then the investment in urban revitalization begun during the activist 1960s had become a romantic memory. Roger Biles's insightful new book shows why. The first major comprehensive treatment of the subject in thirty-five years, superseding Mark Gelfand's landmark A Nation of Cities, it examines the federal government's relationship with urban America from the Truman through the Clinton administrations. Deftly analyzing the efforts of presidents, legislators, and other policy makers to deal with a range of troubling and persistent urban issues-especially problems related to housing, transportation, and poverty-Biles chronicles the attitudes and policy proposals of each president and his chief appointees. He shows that, although various presidents announced initiatives to benefit cities, only Jimmy Carter actually made a sustained effort to do so, while the Eisenhower administration stepped back from New Deal-Fair Deal engagement in urban affairs and LBJ's Great Society programs succeeded in reviving ailing cities-until money was diverted to the Vietnam war. Biles explains how Ronald Reagan's New Federalism reduced the federal government's presence in urban America with a vengeance and how Bill Clinton's "Third Way" for America's cities signaled yet another triumph for devolution and decentralization. He also critiques the Department of Housing and Urban Development, citing its ongoing inability to serve as a strong advocate for the cities within the federal government. 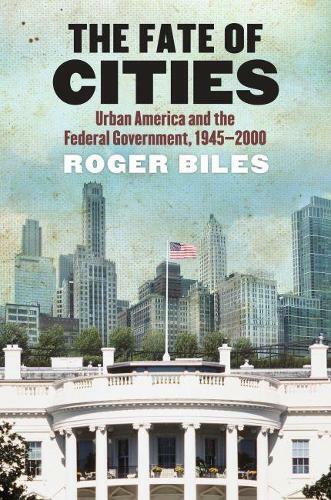 Well organized, clearly written, and wide-ranging, Biles's impressive treatise provides a telling critique of how in the long run the government turned a blind eye to the fate of the cities. No other work offers such a useful narrative of presidential action or inaction and Washington political maneuvering with regard to urban issues. This comprehensive history will become the standard source for understanding the development and trajectory of federal policy making affecting America's urban centers.